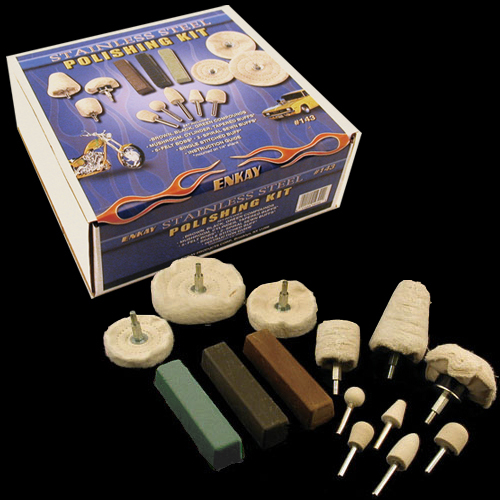 This kit provides everything needed for polishing all types of stainless steel. The most common application for this kit is stainless steel parts and trim on classic automobiles. For use with any standard electric drill.